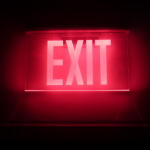 This week two Eastern European outsourcing vendors were in the center of M&A and exit news. Update: The conditions of the deal with AGS were disclosed in March 2016, its value totalled $51M. Epam Systems, a high-profile NYSE-traded outsourcing vendor originating from Belarus, just acquired Alliance Global Services, with 1,200 employees, HQ in the US and development centers in Hyderabad and Pune, India. The newly-acquired company has a strong expertise in automating software testing processes, as well as providing development services biotech, healthcare, insurance, and media industries. The conditions of the deal are not public. It’s not the first acquisition for Epam, a 22-year-old mastodon of the software development outsourcing industry. In the past few years, the company has been moving in the direction of Product Development services (including product design, development, and market launch). And money gained from the IPO in 2012 allowed the company to finance the acquisition of strategic partners that would strengthen Epam’s expertise and product-driven approach in certain verticals, like healthcare and life sciences, insurance and financial sectors, telecoms). For instance, in July 2015 it bought NavigationArts, a US-based company with a strong expertise in digital strategy, content management systems, and Fortune 500 clients. 2012: Emphathy Lab, US, e-commerce, digital media and entertainment solutions provider. Amount of the deal: $34 million. 2012: Thoughtcorp, Canada, Business Intelligence expertise for financial, retail, and telecom domains. Amount of the deal: $14.7 million. 2014: Jointech, China, a provider of tech services for customers in investment banking, wealth and asset management. Amount of the deal: $36.8 million. 2014: GGA Software and Services, US-Russia, mathematic modeling, databases development, IT services for leading life sciences and healthcare companies. Amount of the deal: 45.5 million. 2014: Great Fridays, UK, a product and service design group. Amount of the deal: $11.8 million. 2014: Netsoft, US, technology consulting for healthcare and insurance companies. Amount of the deal: around $6 million. 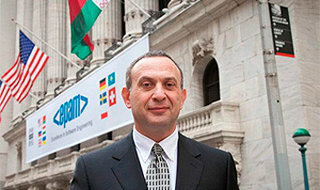 Epam’s expected revenue for 2015 is at $905 million. It has development centers in Belarus, Ukraine, Russia, Hungary, China, Kazakhstan and India. Horizon Capital, a private equity fund from CIS, sold its stake in Ciklum to Ukrainian Redevelopment Fund, owned by George Soros. Horizon Capital has fully exited its investment from 2012, and in addition to their stake, URF has also bought some shares from Majgaard Holdings Ltd., eponymous to the founder and CEO of Cyklum. Ciklum, an IT outsourcing company with over 2,500 employees, was founded in 2002. With headquarters in Kiev, Ukraine, it has development centers across regional cities in Ukraine, in Belarus and Pakistan.